Photo opportunities throughout including Blake’s chair from The Voice! 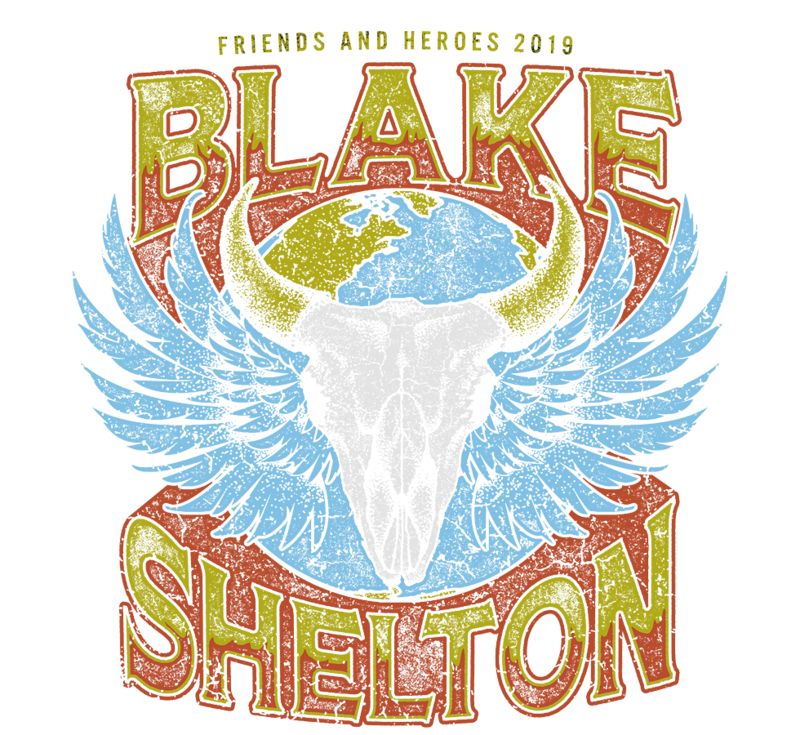 ***Please note, packages do not include a Meet & Greet with Blake Shelton. **Please note, packages do not include a Meet & Greet with Blake Shelton. Q: Does this package have a minimum age? A: Most shows are open to guests of all ages. However, the age policy varies with each venue. You can typically find the age policy via the “more information” button on the ticketing page, but if it is not there, you may also refer to the venue’s website for details regarding your specific event. Q: Can I purchase a package over the phone? A: Unfortunately, we are unable to process any orders over the phone and therefore all packages must be purchased online. However, we’re happy to help walk you through the purchasing process if you’d like to give us a ring at 888-805-8930. Q: Can I acquire Accessible Seating as part of a VIP program? A: Most venues offer accessible seating areas to accommodate their guests. Availability and type of accessible seating tickets will vary based on each venue’s policies and/or the type of event taking place. If you would like to inquire about accessible seating as part of a VIP program, please reach out to us at guestservices@cidentertainment.com or 888-805-8930 immediately after purchase. We will go over any available options. Q: What is a Premium Reserved Ticket? A: Depending on the ticket type you purchase the Premium Reserved seats will be located in the first 5 rows of the floor, the first 25 rows of the floor or a reserved seat in the lower bowl sections. Q: What is the lower bowl? A: The lower bowl is the section immediately above the floor. It provides seating, and some of the clearest and nearest views of the stage. Q: Can I purchase a VIP Package at the Box Office? A: No, VIP Packages will not be available for purchase at the Box Office. You must purchase online ahead of time. Q: Where will I receive my tickets? A: During the purchase process, you will have the option of choosing to have your tickets shipped or emailed to you before the show or pick them up at Will Call. If you choose to have your tickets shipped or emailed to you in advance, you will still need to check in with us at the event to ensure you get to take advantage of all the perks that come with your package! If you choose to pick up your tickets at Will Call, please be sure to stop by the venue box office to retrieve your tickets prior to meeting us at VIP Check-in. As it gets closer to the event the ticket purchaser will receive an informational email including the exact time and location for VIP check-in. Please bring valid photo identification, and stay tuned for that email! Q: When can I check in as a VIP guest? A: While the exact time varies with each show, VIP check-in will generally occur about 2 hours before the main show starts. We will provide the specific times and check-in location for your show in our informational email about one week before the concert. Q: If I’m unable to make it to VIP Check-in during check-in hours, how can I receive my merchandise? A: All merchandise must be redeemed on site at our VIP Check-in. Unfortunately, we are unable to ship out any merchandise post-event. Q: Is VIP parking included? A: Yes! One (1) parking pass is included per order, where available, within the “The ‘Pure BS’ Ultimate Fan Experience” and the “‘I Live It’ Ultimate Fan Experience.” Please note – this does not indicate that 1 parking pass is included per package. Rather, it is one parking pass per entire order. For instance, if you purchase 4 packages under one order, it will come with (1) parking pass for the group of 4. The other VIP package options DO NOT include parking. Q: Is there a secure space where I can leave my merchandise during the show? A: Once you receive everything at check-in, you will have the opportunity to bring items back to your car before entering the concert venue. We understand that it’s not always comfortable to carry around your merchandise during the show – it makes it harder to dance! Q: When will the pre-show performance take place? A: More specific times and locations will be announced in the informational email we will send to you about a week before the event. Q: What is the acoustic performance going to be like? A: It will be a small performance with just Blake Shelton and his guitar! In one word: intimate. Q: Are meet and greets offered with any of the VIP experiences? A: Meet and greets are not included with any of our package offerings. Q: Can I bring my own camera to the pre-show party? A: You can bring your camera phone and/or a standard point-and-shoot, but any cameras with detachable lenses will not be permitted. Q: Can I upgrade to a VIP package if I already purchased a regular ticket? A: Our ability to upgrade depends on a few different factors – availability, the venue, and date of contact – but please reach out to our guest services team at 888-805-8930 to inquire about any upgrade availability, and we’d be happy to discuss your options with you! Q: What is an on-site host? A: The on-site host is basically an extension of our Guest Services team at the event itself. He/she will be available for any questions or concerns that may arise during the VIP program. Q: The people attending the concert with me may be arriving late. How would they get their tickets, merchandise, etc.? A: The original purchaser will check in for all package materials, and he/she will then be able to distribute accordingly. Thus, we advise for your whole party to come to VIP check-in at the same time to make it quick and easy. Q: Can I use my CID package for a contest/giveaway or to promote my website/product/event? A: No. CID Entertainment’s trademarks, intellectual property, tickets and other offerings may NOT be used for advertising, promotions, auctions, contests, sweepstakes or any commercial purpose, without express written consent from CID and its partners. Please see our purchase policy for more detail. Q: I purchased a package as a gift, but I will not be in attendance. How can my friend and family member pick up their ticket on my behalf? A: You can do what is called an alternate pick-up! Simply provide the new guest with a photocopy of your photo ID, a photocopy of the credit card used during the purchase process, and a note authorizing the new guest to check in for your order. These items can be digital copies or photos on a cellphone. As long as the new guest has these items, in addition to the show ticket(s), he/she will be able to check-in for the order without you being present. Please note that the informational email regarding check-in (and any other emails correspondence from us) is sent to purchasers only, so you will need to forward any emails to the new guest. A: All packages are non-refundable. Please refer to the Purchase Policy for complete details. Q: Am I going to have an amazing time?